Coming Soon: Located on the North side of Queens Quay East between Cooper Street and New Street, 100 Queens Quay East is perfectly positioned in Toronto’s next downtown expansion. 100 Queens Quay East is part of the Menkes “Sugar Wharf” redevelopment: an 11.5 acre, 4 to 5 million square foot mixed-use project featuring a 25 storey, Class “AAA” LEED Platinum** office building, an expansive new 3 acre public park, ~300,000 square feet of retail space and ~5,000 residential units. 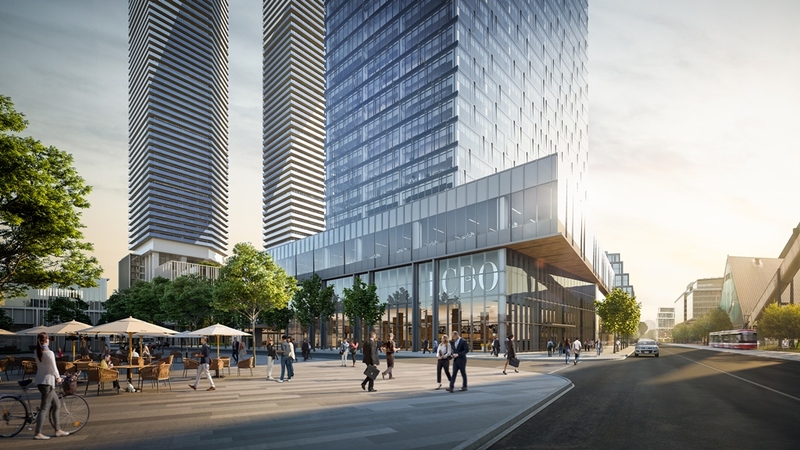 100 Queens Quay East will be the new headquarters of the LCBO which will be occupying approximately 225,000 square feet. Construction for this new landmark office building began in Q4 2017. Pre-leasing is now underway for the building’s approximately 400,000 s.f. available office space and approximately 75,000 s.f. of retail space.